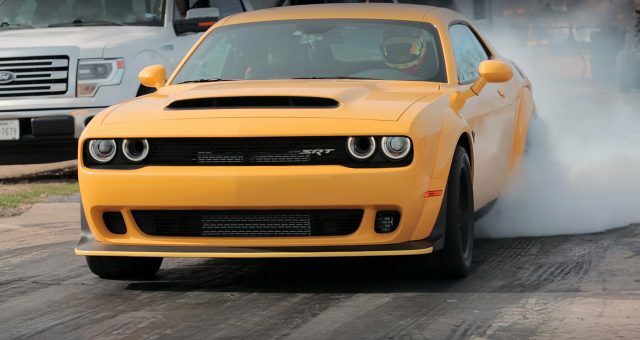 1000 Horsepower Hennessey Demon - The Fastest 1/4 Mile Demon Ever! 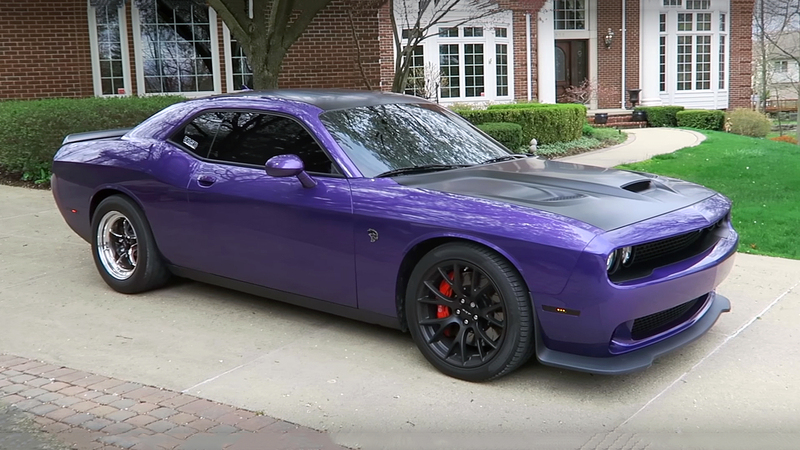 Hennessey Performance had produced the most powerful Demon ever. However, the truth is that we are a little bit surprised and also disappointed. 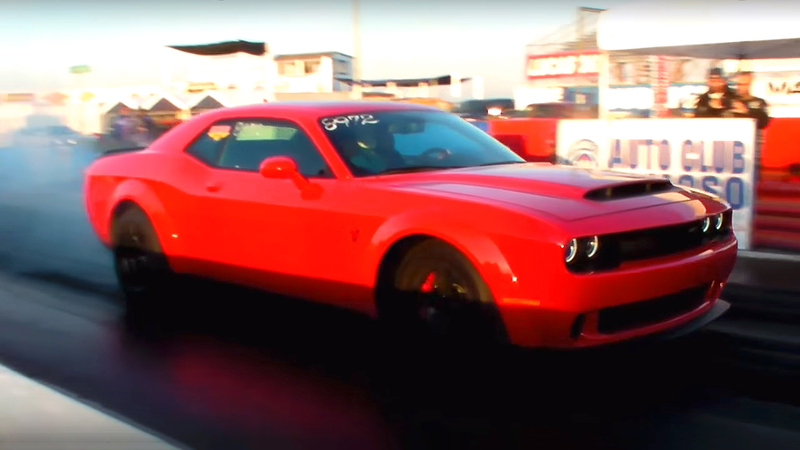 Because we hoped that, this 1000 horsepower Hennessey Demon at least would achieved low nine, or high eight seconds 1/4 mile time. Nevertheless, Hennessey Performance on their first 1/4 mile test achieved a time of 9.38 seconds @ 146.7 mph and insane acceleration from 0-60 mph in just 1.93 seconds. 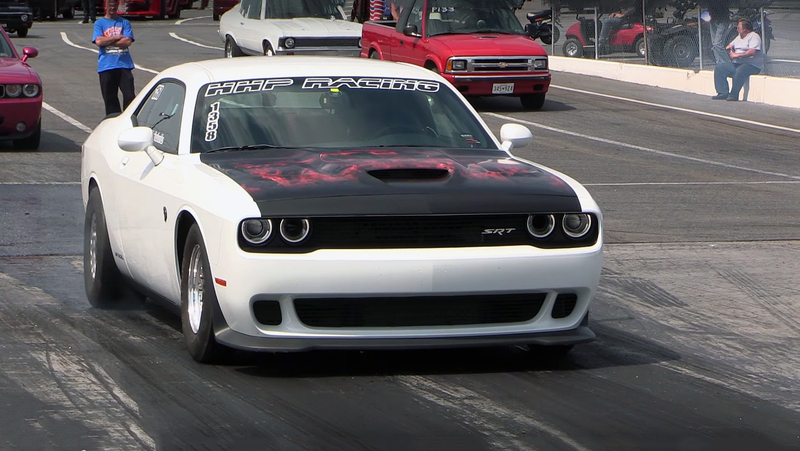 This 1/4 mile time is 0.27 seconds better that the official 9.65 seconds Dodge record. We hope Hennessey will break into 8 seconds barrier in their future testing with this 1000 horsepower Demon.